Former Baltimore Ravens running back Justin Forsett has announced his retirement from NFL. Forsett is retiring from the NFL after nine seasons. He spent the first four years of his career with the Seahawks from 2008-2012 and was a journeyman for the remaining five years with stints in Houston (2013), Jacksonville (2014), Baltimore (2014-2016), and Denver (2016). 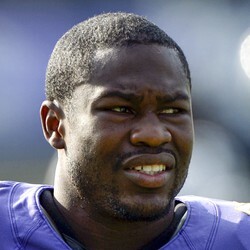 Forsett is expected to land a television role with the NFL Network moving forward.